Buying wine online seems like the ideal solutions to a widespread problem, how to find that rare wine that your brother-in-law recommended, or the one that you want to give your boss for Christmas. You dread the thought of driving to all the wine shops in town looking for that special vintage, only to be disappointed at every turn. Of course, you will miss the "ambiance" of the wine shop. You won't be able to browse at your leisure, walking every aisle of the store, caressing every bottle. You don't have that much leisure time, and after a long day, caressing bottles seems more like dusting with your bare hands. So by now you are ready to give up the ambiance, and go to the more practical, and just as enjoyable, activity of locating unusual wines on the Internet. I remember the first time I bought wine online. We had gone to a beautiful wedding. It was a fancy affair, with a multi-course dinner, and attention paid to every detail. The groom was a wine aficionado, and he took great care with food and wine pairing. I still remember the wonderful Pinot Noir that we had with the third course, it was delicious, but made by a winery that was not so well know at the time. My husband loved the wine, and I decided to get a case as his birthday gift, a gift that I could share! The experience was very convenient, and lots of fun. I searched online for the best source, which happened to be the winery itself. I read the winemaker's tasting notes; I learned about the winery and how it got started. It was a great game, finding and buying wine. And the best thing, the case arrived a few days later, without me having to lug the heavy box to and from my car. I was absolutely sold on the idea of buying wine online, and I continue to do so to this day. Very often this is the only way to get a particular wine, or wines from a particular region. These wines may be rather obscure, and not to many retail shops have them available. The Internet is the solution, and the prices may be better than in a brick and mortar store. there are a couple of glitches that may frustrate your quest for the Great American Wine, or French, Or South African. One disadvantage that may or may not apply to you when buying wine online is that, in the United States, there must be someone over 21 years of age who can sign for the wine when it arrives at your doorstep. If there is someone at home of the appropriate age, that will not be a problem; or it may be possible to get the wine delivered to your place of work, where you can sign for it yourself. There is another, more vexing, problem to buying wine online. There are laws against shipping alcoholic beverages across state lines, and countries. 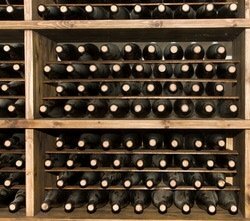 Though the U.S. Supreme Court has ruled against some of the restrictions, individual state laws still have prohibitions against shipping wine to another state or country. If you find a wine that you are interested in, check with the seller or winery to see if there are shipping restrictions that would apply to you, and if there is a way to resolve this problem. You can be sure that you are not the first person to attempt to buy wine from an out of state seller, so they may have creative solutions that do not break the law, but still allow them to satisfy their out of state customers.